This double layer twisted spike hair bow is made with a layer of leopard print ribbon and your choice of over 25 colors of solid grosgrain ribbon. Bottom layer is spikes in that same solid color. 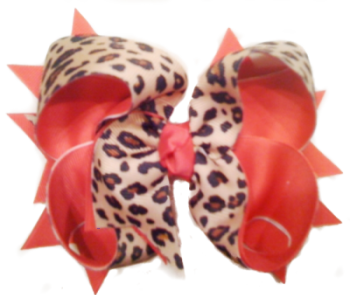 This bow is hot and will certainly make your little lady the center of attention.